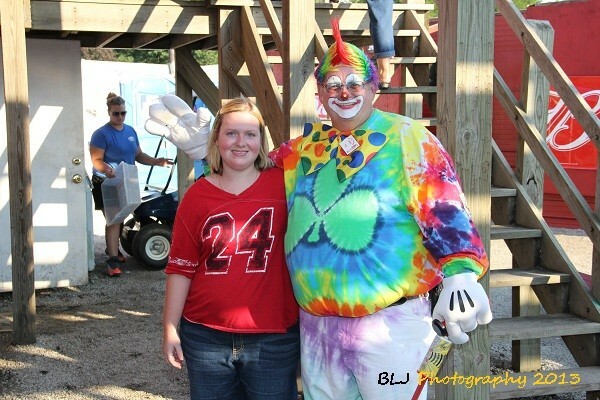 MACON, Ill. – Come to Macon Speedway Saturday for a carnival atmosphere thanks to the Decatur Shrine Club, some great racing and the first demolition derby at the legendary track in 15 years. Billingsley Towing Modifieds will run a 50-lapper for the Shrine 50 with $1,000 to win and $100 to start after we hold a qualifying session, and the Chuck Foley Memorial Demolition Derby brings rock ‘em sock ‘em action that will shake the famed dirt track to its foundation. Wow. Talk about trading some paint. It’s all for a good cause. The Decatur Shrine Club and the Ansar Shrine will raise money for the Shriners Hospitals for Children. All proceeds tonight go to the Shriners. 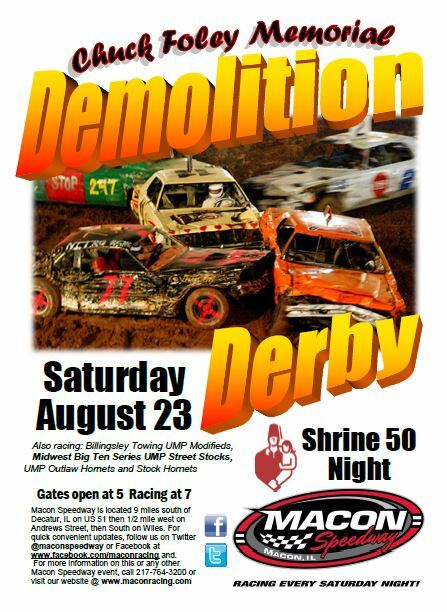 So come out to Macon Speedway, help a good cause and enjoy an amazing doubleheader of awesome racing and a cool demolition derby. There’s even a Shriners parade. Don’t forget the CEFCU candy drop for the kids, and we always have great food and cold drinks. The race buckets will be popular tonight, so get you one and chill in the grandstands with some cold drinks, hot racing and drivers blasting each other in the demo derby. Raise your hand if you remember the battle royal during the Lite Beer Twin 50’s in June. That was a crazy race. Let’s see how the modifieds run this 50-lapper. It might get a little physical with all those cars and all those drivers going for the big money. Meanwhile, Bobby Beiler and Terry Reed battle for the lead in the Big Ten Series Street Stocks in the ninth event in a 10-race season within a season. They also take aim at the $500 to win. Travis Johnson claimed the victory in the Big Ten Street Stocks race Friday night at Jacksonville Speedway. Outlaw Hornets and Stock Hornets also race. 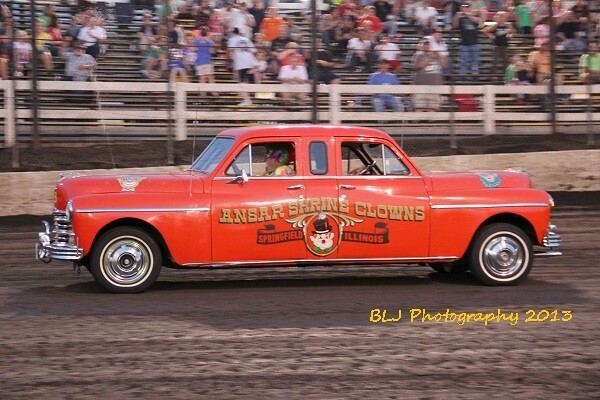 Following the conclusion of heats and features in the four divisions, the speedway will quickly be converted to a demolition derby ring during the Shrine parade. Then the drivers will compete in stock, bone stock and compact divisions. Watch for those bone-rattling hits and daredevil moves. It all comes for one low admission price. General admission for adults is $15 while children 11 and under are free when accompanied by a parent. Gates open at 5 p.m. with racing at 7. The racing doesn’t cool off any time soon. With the Big Ten Series Street Stocks running their final nightduring the Illinois Street Stocks championship, Aug. 30 is must-see stock car racing. On Sept. 6, POWRi Midgets and Outlaw Micros make their final appearance at Macon Speedway for the season by running double features in both POWRi classes. Scout Night is Sept. 20 with the the MOWA Sprints presented by DynaGraphics and ILMO, and the season-finale is set for on Sept. 27. Circle the calendar for the second USAC-ARCA doubleheader when the Ted Horn 100 for USAC Silver Crown cars runs Aug. 31 under the lights at the DuQuoin State Fair before the Southern Illinois 100 for ARCA stock cars entertains race fans on Labor Day. The USAC Tony Bettenhausen 100 for Silver Crown cars has been rescheduled for Sept. 7 at the Illinois State Fairgrounds. Tickets for the racing at both state fairgrounds are available by calling Track Enterprises at 217-764-3200.